Poly100-SC is a Single Component Polyurea Primer/Basecoat thats perfect for both solid color and broadcast systems. As a 100% solids primer, it has zero VOCs, making it the ideal solution for minimizing odor and environmental impact. Its virtually unlimited pot life allows for work at any pace yet cures quickly when applied, allowing a mere 2-6 hour walk on time and 24 hour return to service. No mixing, no measuring, no waste, no hassle. Typical Uses: For use with Solid Color Systems, Decorative Aggregate Broadcast Systems and Single Coat solutions. Suitable for large warehouse facilities, heavy traffic areas, industrial shop floors and chemical manufacturing plants. Polyurea 350 is a two-component, 98% solids Polyurea primer/basecoat. Due to its proprietary blend of resins, Polyurea-350™ allows installers to "wet-out" large areas, including vertical surfaces, before broadcasting decorative aggregates such as quartz, vinyl chips, or flint. This longer "open time" results in perfect broadcasts every time, eliminating problems with light coverage, inconsistencies, or blemishes. Citadel's Adjustable Cure Rate Technology allows the installer to customize the workability and cure times of this material for use in any climate. Polycuramine is an odor free, interior clear base, which serves as the foundation of a multitude of the Citadel finishing systems. It provides incredible abrasion resistance and extreme chemical resistance. This product combines key attributes from multiple chemistries into one indestructible, self-leveling, flexible, fast curing, high gloss coating system. 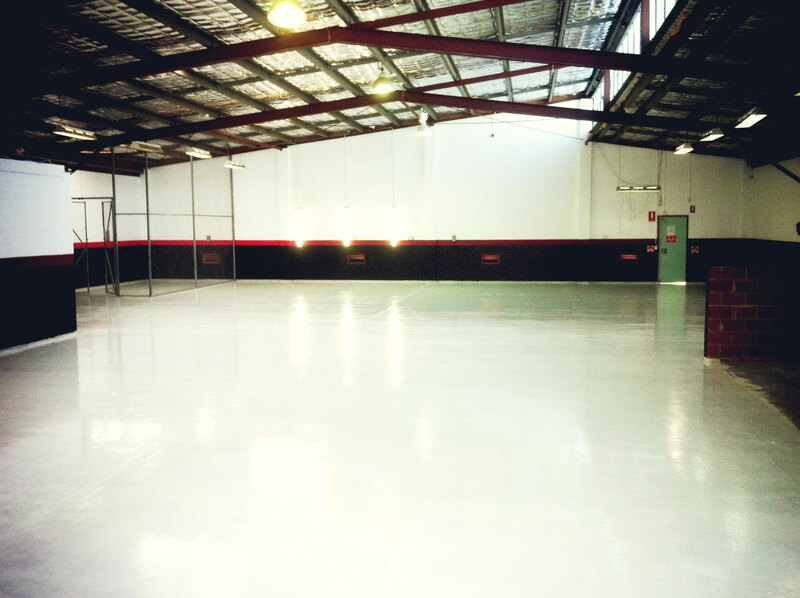 Typical Uses: Serves as the primer, base coat or clear coat for a multitude of floor finishing systems. Size: Available liquid in a 3 gallon kit. Coverage varies between systems and uses. SLE-100 is a two component, 100% solids, cycloaliphatic hybrid coating system that has exceptional adhesion properties to concrete substrates. Due to its unique chemistry, this coating exhibits great flexibility, working times and self-leveling properties while offering great chemical resistance as well. Low odor makes it a great choice for interior applications. Sold in Gray or Tan. Typical Uses: Serves as a primer/basecoat for a multitude of floor finishing systems. SLE-100 is also self-leveling and serves as a build coat for heavily damaged floors. Coverage: 100-200 sq ft. / gal.